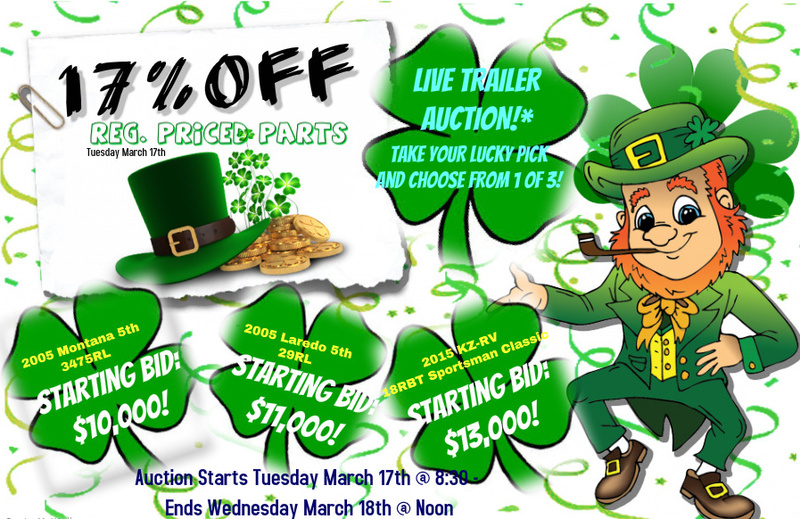 St. Patrick’s Day RV AUCTION! – 3 Trailers to Choose From! Get LUCKY with one of these RVs!